thank you page is not going where it should. and the page comes up for another form i did before. Can you give us the link of the form? It would be easier to give a more accurate solution if there is a way to view and inspect your form. go to contact and there it is. is that what you meant? 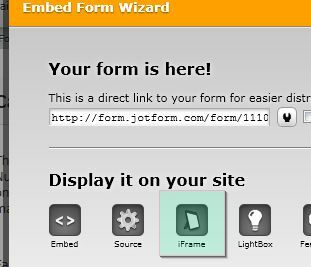 The solution for this would be reembeding your form, and I would suggest you to reembed your form using iFrame method instead. Just let us know if this doesn't work so that we can further assist you. sure i want to go over to another system. ask of me and yet it takes me to the wrong place. that does not make sense. Your form has a "Change Thank You Message" condition which overrides the Custom URL settings. It will display that conditional message whenever Email Address is filled out, so your Custom URL settings is useless. Delete that condition to rectify the problem. Go to Setup & Embed > Conditions > Saved Conditions to find the said condition. clear as it might be. working its not the user's fault. No offense but it was actually you who have added that condition. Personally, I think you should be aware of that. On the other hand, perhaps you are right - I think we also need to keep things easier for our users. May we ask you for suggestions on how that portion of our interface can be improved? We'd greatly appreciate your input. Thanks! should not be in any way connected. make sure i have not done the same thing on them. this does not make sense but the interface still was a bit ambiguous. by alerts during the filling out process. all and all your system is pretty good and i am happy with jotform. Thank you very much. Hopefully, we'll be able to incorporate the points you have raised to our future updates. whatch call "nice weekend"; harumph.